Today I write from my bed. I have just returned from almost a month of non-stop training in Joburg, and as much as I love Joburg (and I really do); Joburg does not seem to love me. Every time I head up there I am plagued with tummy ailments, and the bug I got before leaving on Friday has followed me home. So to say I am less than enthusiastic about food right now is an understatement. My blessed husband to be has been feeding me dahl and rice which seems to be exactly what my stomach needs right now but not the most blog worthy dish (debatable). It may be totally unfair to blame Joburg on my current state of malaise as moderation is not a virtue I have been blessed with. When I teach, I taste, eat and enjoy everything I work with. 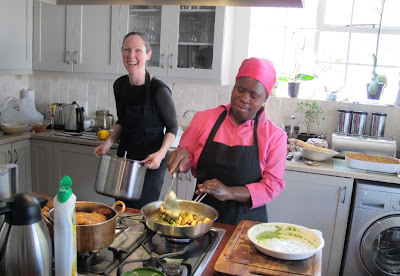 And while up in Joburg apart from training at least 4 – 5 recipes every day, I spent a fair amount of time exploring the eateries, markets, festivals and was entertained by fabulous people in fabulous places. So it may be fair to say that I am experiencing a bit of system overload. Many of the homes I train in are the homes of overextended business people. They are on the go all the time, eat out and are entertained a lot, they are on the cutting edge all the time. When they come home, all they want is simple home cooking. Simple flavours and ingredients; comfort food, with flavours that remind them of a time in their lives which was not as stressed and complicated. The requests I got on this trip were all about simple stews, meat balls with mash and gravy. Traditional chicken soup; freshly baked bread. Filling salads with loads of tasty ingredients, chocolate cake, Asian noodle bowls. All these request had ‘end of the year fatigue’ written all over them. People are tired and want to come home to good old fashioned cooking. 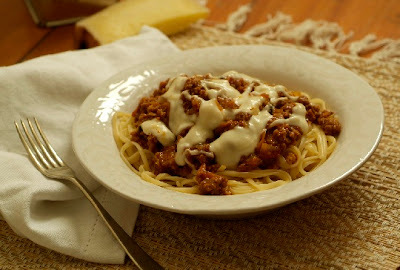 My one client asked me to recreated two recipes of dishes which her late mother used to make for them as kids. What a privilege. I think I feel the same way today, I want to return to some seriously simple eating. I want to be conscious of what my body and soul need and give it that. I want to focus on freshness and lightness. Damn, but as I type these words my mind is saying 'what about Christmas baking?’ – Okay, I’ll file the Christmas baking under food for the soul! I love Christmas baking while listening to Frank Sinatra and Bing Crosby... ohhhh I can’t wait!